Bring a would-be bride you can only imagine to dress in a costume that is extraordinary and simply beautiful. A bridal lehenga choli allows you to achieve this. 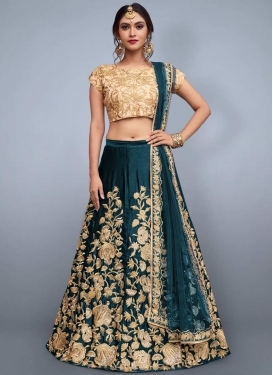 Heavy dabka work, thicket of beads on volumes of net and much more is here to choose from our bridal lehenga choli catalog. We don`t just offer a wide variety, we bring to you each piece that is a stand-out. Look surreal in shimmering color combinations brought together in rich fabrics most appropriate to be worn on the most special day of your life! Order one now!